Central Government mulls raising retirement age of Group A officers. 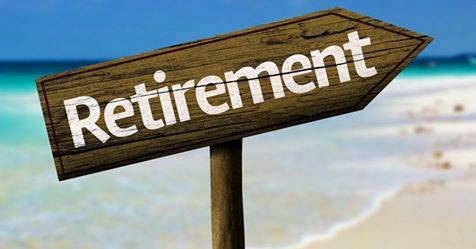 New Delhi:The central government is taking into consideration suggestions to raise the retirement age of Group A officers to accommodate the increasing number of senior bureaucrats in administration. A top official of Department of Personnel and Training (DoPT) on condition of anonymity said there had been active discussion over the matter and DoPT had received views from certain stakeholders to review the retirement age of Group A officers. He however said that any changes made to the retirement age of Group A officers would not be done in the near time as a lot of engagements with stakeholders need to be done first. “The government is looking into that, in fact DoPT has received suggestions that the kind of acumen the Group A officers achieve by the time they reach the age of 60 should be put to use for another two years. So, the government is seriously thinking of enhancing the retirement age of the Central Group A officers to 62 to cover the cost of ageing population. “Amongst 48.85 lakh central government employees, 85% are holding Group-‘C’ posts and 12% are holding Group-‘B’ posts whereas employees holding Group -‘A’ posts are only about 3%,” he said. The official said any proposal to increase the retirement age of the Central Group A officers would not be hampering the financial heath of the government as only 3 per cent regular Group A officers, who will get this facility. Besides Central Group A officers, it will also be implemented to All India Service officers (IAS, IPS and IFS), he confirmed. He added increasing the bar on retirement age would halt the job progress of those in the lower position to get promoted. “If government keep raising, those who are supposed to be promoted will be affected … the government accept the idea but government needs to study it thoroughly,” he also said. Earlier Prime Minister Narendra Modi said that India has more than 65% of its population below the age of 35, but at the moment the government plans to increase the retirement age of Group A officers as average life expectancy rises. There are several secretaries heading different departments have to cross their retirement age, but now they may be retained by the government owing to their experience and expertise.